The home on 69th Road was torched Dec. 5, police said. The suspected arsonist had first tried to burn down the home in November but the fire department got to the home before it spread. QUEENS — The investigation into seven blazes linked to a fire-starting "ninja" in vacant homes in a largely Buhkarian Jewish neighborhood in Forest Hills is being called "high-priority" by FDNY officials, one of whom said Wednesday he hasn't seen an arson pattern of this magnitude in New York City since the 1970s. Investigators are using ATF bomb-sniffing and accelerant detection dogs to hunt for clues in the rubble of some of the seven sites, including one location that was set on fire twice — an act detectives suspect was meant as much as an investigative taunt as it was to finish the original job. "That’s not a normal procedure but this a high-priority case," Supervising Fire Marshal Randy Wilson said at a Community Board 6 meeting Wednesday night. "I’ve been on the bureau almost 24 years and I haven’t seen this," Wilson said. "It would go back to the 70s." But he also said that while the trend in the 1970s, when a number of homes were torched for insurance claims, was very "pervasive," the pattern in Forest Hills is limited to a very specific small area. 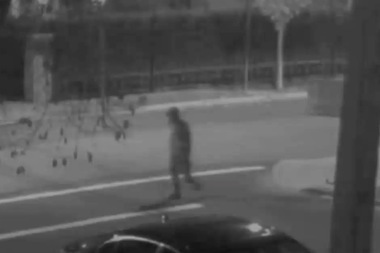 "He is very bold," FDNY Assistant Chief Edward Baggott said about the suspect, who was seen carrying what appeared to be a gun in one surveillance video. The second fire on Sunday in a vacant building at 112-35 69th Rd. came after the firebug left an encrypted riddle that led detectives to a man determined to have nothing to do with the blazes. The building was first set on fire Nov. 15, but the FDNY had put out the blaze before it was able to do serious damage to the structure. The home was destroyed after it was reignited just after midnight on Sunday, Dec. 6., officials said. Police and fire officials have publicly said they believe the arsonist set the fire to finish the job, but investigators believe that the suspect returned to the scene knowing that they would not be looking for him there and that the blaze was more likely meant to provoke them and accentuate the fact that they couldn't catch him even though the NYPD has increased patrols in the area, law enforcement sources said. Last month the suspect left a message with a riddle near a home at 108-47 67th Drive that erupted in flames shortly after 11 p.m. on Nov. 25, police said. Investigators, including a sudoku-loving detective, cracked the note, which read: “Decode this message to find out the person who caused the fire.” It also included several sets of letters and numbers. The riddle revealed the name of a Forest Hills resident whom detectives determined was not the arsonist. Meanwhile, investigators have been combing the area in search of clues, hoping to identify the ninja and collecting evidence allowing them to charge the suspect once he is arrested. Police have released several surveillance videos that they believe show the suspect near the sites where the fires erupted. One surveillance footage, which has not been released, shows him wearing all black and "looking like a ninja," sources said. Police officials also said that additional cameras are being installed in the area. The pattern, which currently consists of seven incidents, started with a blaze at the former Parkway Hospital on Oct. 20, officials said. 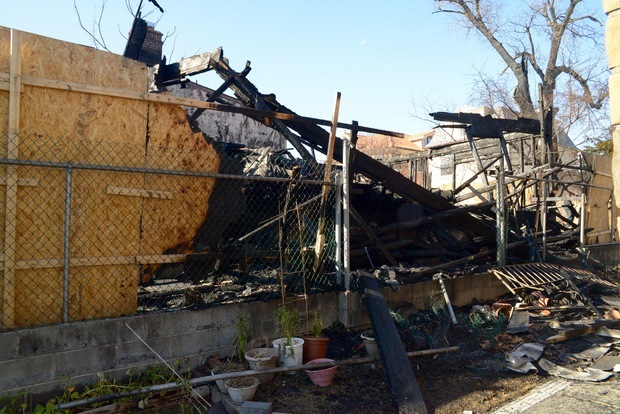 Five of the fires targeted homes that are vacant or under construction and are owned by Bukharian Jews living in the Cord Mayer section of the neighborhood, between Jewel and 65th avenues and between Queens Boulevard and the Grand Central Parkway. Police described the suspect as being in his 20s or 30s, between 5-foot-6 and 5-foot-7, with a slim build.